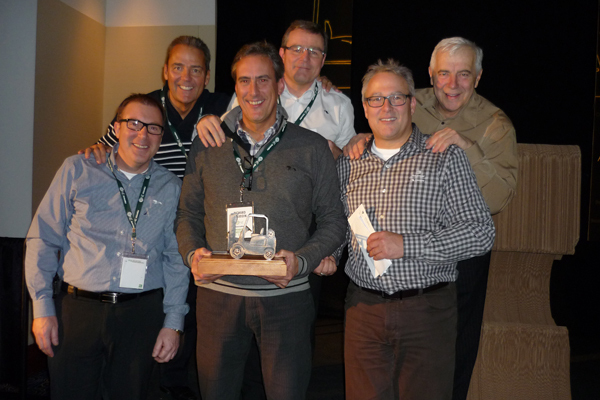 Greenest plant: Norampac – Drummondville earns top honours! Robert Lanthier, Yves Ménard, Richard Beaudoin, Mario Plourde, Jean Parent, Alain Lemaire. 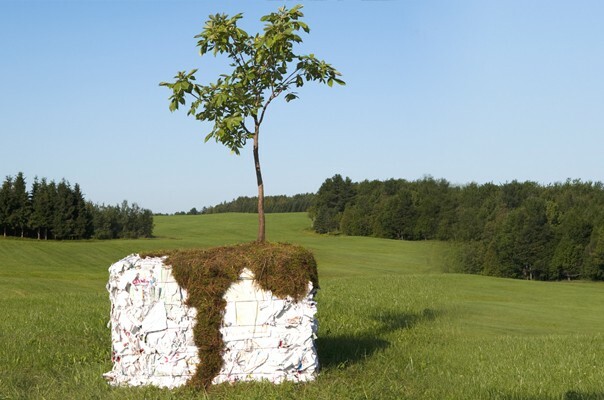 When Norampac, a division of Cascades, decided that it wanted to recognize its plants’ latest green and sustainable initiatives, it spread the news. In 2014, Norampac – Drummondville earned top honours by winning the much coveted Alain Lemaire Award for greenest plant, which recognizes the plant that showed the most improvement of all Norampac plants in respect to sustainable development initiatives between 2012 and 2014. 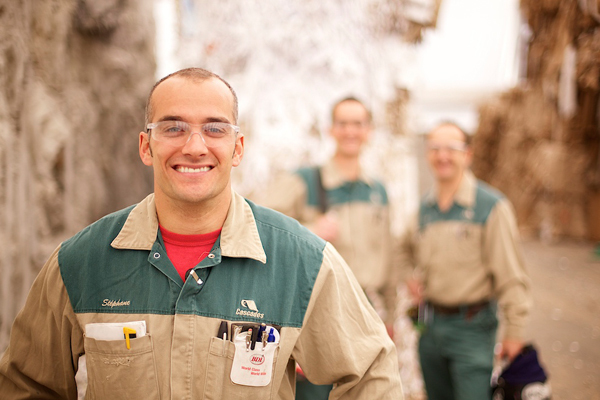 These initiatives take a lot of time and effort, but for Cascaders, reducing the environmental impact of their plants is an ongoing process. 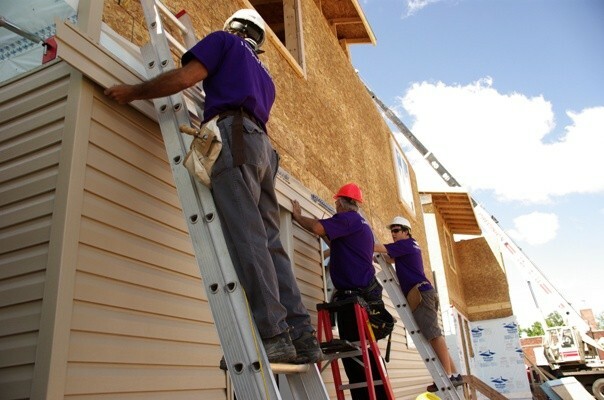 Candidates were assessed using criteria based on our values, energy efficiency, water, waste, employee and manager commitment, GHG emissions, and the creativity of the initiatives. Here are the initiatives that led the Drummondville team to victory. Since 2012, there has been a significant increase in the amount of waste recycled at the plant. 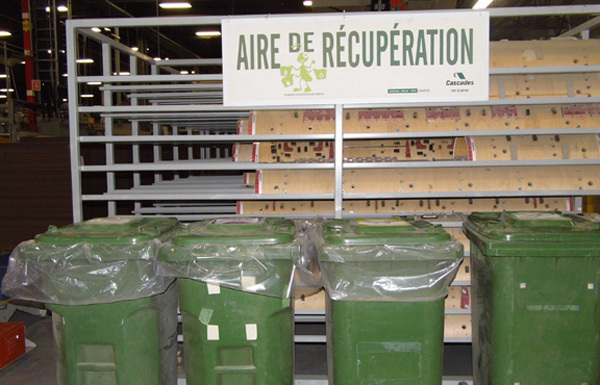 A number of initiatives now allow the plant to recycle or recover old belts, ink, boilers and lids, neon tubes, batteries, aerosols, wood, steel dies, and more. In 2014, more than 7000 lids and boilers were recovered. Impressive! 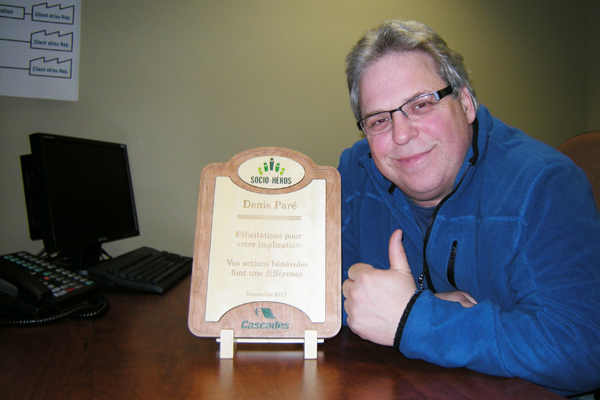 Cascader Denis Paré, employee at Norampac – Drummondville, was recently crowned winner of the Socio-Heroes contest for his involvement with the Centre Normand-Léveillé. Thanks to Denis’ initiative, waste materials from the plant were recovered and given a second life in the community. Plant management also got involved and donated sand and gravel for landscaping the area around the Centre. What’s more, the plant received the 2012 Best Energy Performance award presented by Cascades GIE (energy action group) for its achievements in heat efficiency in the compressor rooms, the closed steam loop system and the boiler. 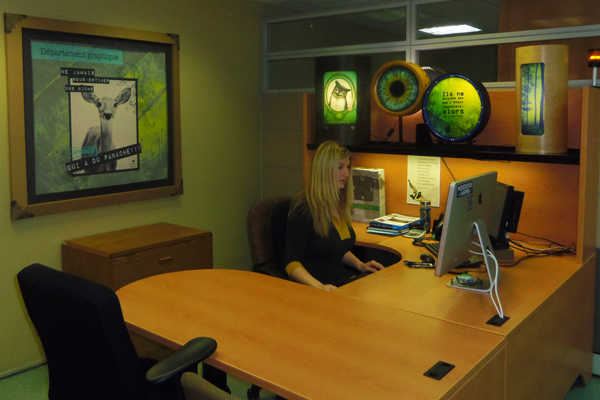 Julie Martel is a graphic designer at Norampac – Drummondville. She’s also the unit’s expert when it comes to the art of recycling. 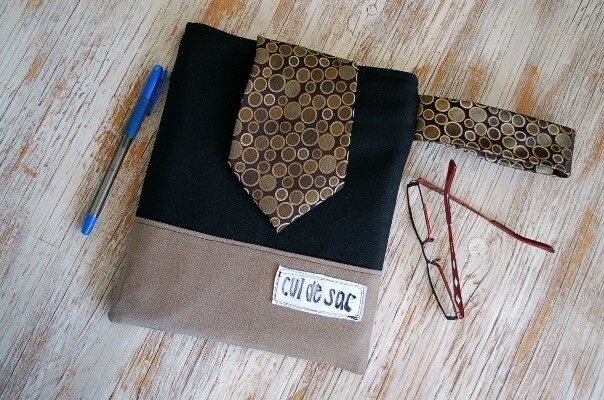 Julie uses recycled materials from the plant and elsewhere to create illuminated frames. Once a week, she goes around the plant digging items out of trash cans and recycling bins that she can incorporate into her eco-friendly collection cleverly entitled Vie d’Ange. She also transforms used materials such as stencils into perfectly unique designer lamps! The plant stood out mainly for its teamwork and the initiatives carried out by employees, many of whom are involved in making sure that their workplace is eco-friendly. Bravo to the entire team at Norampac – Drummondville! Geneviève serves as the Communications Coordinator for Norampac, a corporate division of Cascades. She joined the team in 2006, not long after completing her studies at the Université de Montréal with a BA in Communications and Political Sciences. She also boasts a management degree from Montreal's HEC Business School. 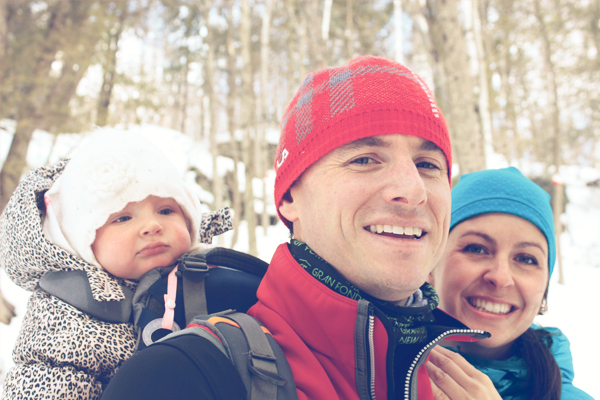 A dedicated humanitarian, Geneviève enjoys taking on a wide variety of challenges. "Communicating effectively within a corporation is a mission I take very much to heart, and one which covers a lot of different issues – including dealing with the media, day-to-day operations and employee concerns. I appreciate the opportunity I have been given, since the beginning of my career, to work for a company which fosters and encourages creativity. It's very satisfying, for example, to have had a personal influence on projects such as the videos we produce to ensure a safe, healthy work environment." 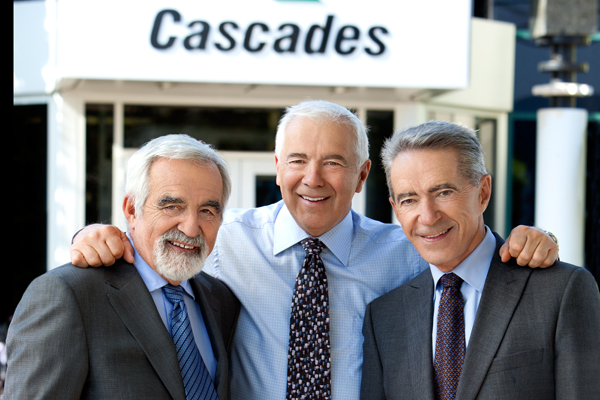 Over 50 vacant positions at the Cascades job fair!